Acupuncture is a comprehensive system of medicine that originated in China over 2,000 years ago and has been further developed throughout Japan, Korea, Vietnam and now the West. Using exceptionally fine filiform needles, acupuncture works by directly accessing the body’s nervous system through points organized along channels called meridians. The primary acupuncture points are located in areas of heightened electric potential and therein stimulate the body’s healing cells to gather and focus their action on the needled site and point indications. A 25-minute condition-specific conversation that will allow your practitioner to formulate a Chinese medical diagnosis and treatment plan for a course of herbal medicine to be administered internally or externally. 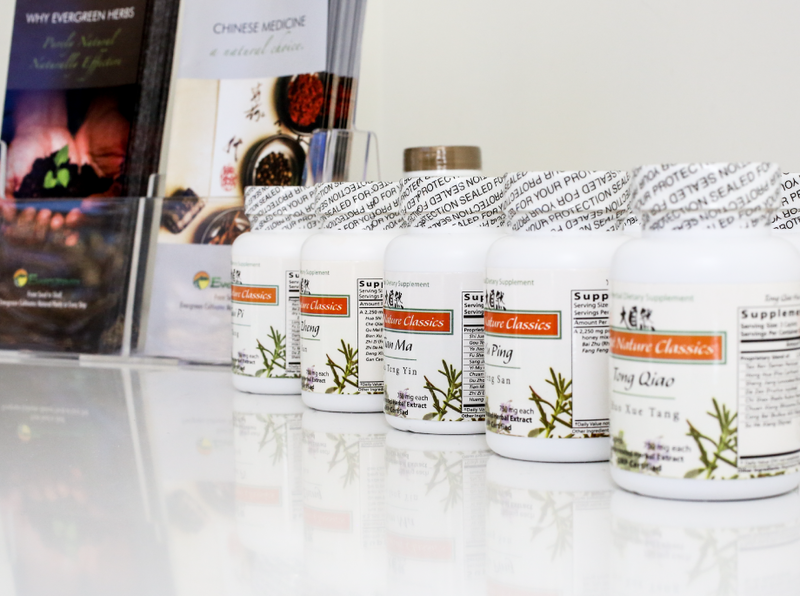 Traditional Chinese Medicine (TCM) includes a wide variety of therapies (similar to the way Western Medicine offers diverse treatment options) which are individually combined to best address a patient’s specific concern. A treatment plan for an individual will include specific protocols that are meant to gain effect over time, requiring a certain number of regular acupuncture treatments, the number of which are determined on a case by case basis. We’ll begin by discussing both your chief complaint and your health in general. Then we’ll ask you a series of questions, may take your pulse, examine your tongue, and begin your treatment. During the follow-up sessions, we’ll track your week-to-week progress, note any major changes, and tailor your treatment to those changes. In the primary treatment stage, acupuncture visits generally take place on a weekly basis; depending on the condition and the person, this schedule may last from a few weeks up to a few months. Once the condition subsides, a biweekly or monthly “tune up” is recommended. Everyone has a different response to acupuncture. Some people have immediate results and others may have a slower time responding. The goal is to gradually space treatments further apart, allowing your body to take over the balancing process. The effects of acupuncture are cumulative and will continue throughout the week. Immediately after treatment you may feel great! You may also feel slightly groggy or very relaxed. If we are working muscularly, you might feel sore at first, then feel relief the next day. We will specifically review your diagnosis and what effects can be expected.